Many of the visible effects of sun damage, once incurred, are largely irreversible; meaning that effective daily protection with photostable UVA and UVB filters is the only insurance policy you can rely on in the fight against premature ageing. This correlation between sun damage and skin health makes your daily sun protection your 3-in-1 age blocker, wrinkle preventer and collagen saver. For this reason, Alpha-H have formulated the new Daily Essential Moisturiser SPF 50+, an unfragranced, broad spectrum, sweat resistant, water resistant combination of five high protection filters blended with antioxidant Vitamin E, calming Aloe Vera and pure Honeycomb extract for long lasting, but weightless, hydration. Superlight, touch-dry, non-whitening, non-comedogenic and can replace a daily moisturiser on combination to oily skins or be worn as a weightless top coat for dry, dehydrated skin. Super lightweight, daily antioxidant moisturiser with high protection UVA/UVB filters. Sweat, water resistant, non-whitening and wont clog pores, matt finish. Boosts skins barrier function and aids moisture retention.. Perfect for Winter and Summer holiday's as well as everyday use. Apply liberally to the face, neck and decolletage 20 minutes prior to going outside. Daily Essential Moisturiser is also water resistant for up to four hours in the water. Homosalate, Octyl Salicylate and Octocrylene - combination UVB filters to protect skin from sun burn. Butyl Methoxydibenzoylmethane - organic UVA filter to protect skin from premature ageing. Benzophenone-3 - lightweight UVA and UVB sun filter. Vitamin E - antioxidant; brightens and protects against premature ageing. Cera Alba (Honeycomb Extract) - hydrates and seals in moisture. The texture of this moisturizer is rather fine for my combination skin (just let it absorb and shine will go away in 15 minutes). Everything was ok before the first really sunny day this year (it was april). I went for a walk and came back home in one or two hours with photoallergic dermatitis (I think it is because of oxybenzone). So, if you have allergic and sensitive skin (but before this day I thought that I was not allergic at all! ), I would surely recommend to be very accurate with chemical (organic) filters and especially with oxybenzone. Always delivered quickly. Love this cream it feels great when you put it on. One downside is the new packaging, when the cream is coming to an end the pump stops working. So you end up squeezing it out and getting more face cream than you need. I wish the photo would be updated to reflect the change in packaging. As the rest of the Alpha-H products I use this is great. You hardly know it's such a high SPF, and the moisturizing is perfect. Just lovely, feels really lovely on the skin and sinks in well my skin feels and looks much better. Bought this Daily Essential Moisturiser SPF as I wanted a moisturiser with a high SPF that didn't leave the white streak or yellow staining that some SPF products do. 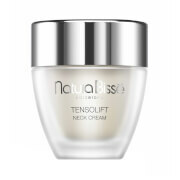 This is a great cream, one pump is more then enough to do my face and neck and it absorbs easily. I also find that it leaves a smooth base on which to place my foundation as well. I can sometimes react to face creams, but fingers crossed, I have had no problems with this. I would definitely recommend! I have bought this twice so it must be ok. I have combination skin and this is great for the summer. Not enough for me in the winter when I prefer to layer on products. A good one stop shop and lasts forever. I had a sample size of this product for ages and put off trying it because I assumed it would be far too heavy for my oily skin. When I went on holiday to Spain last year I took it with me and tried it and was proven completely wrong! It sinks straight in and leaves my skin matt but moisturised. Its unbelievably light for such a high spf and it protects my skin perfectly. I now use it everyday as my daytime moisturiser and can't recommend it highly enough. A must have.